Consists of three layers: soft outer nonwoven layer, fluff filler to absorb, and wet-proof moisture barrier to retard strike-through. Three layer pad. Soft, non-woven outer layer, absorbent fluff filler and wet-proof moisture barrier. 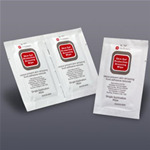 Similar to Tendersorb® and Surgipad ABD Sterile. 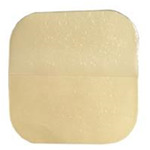 DuoDERM® CGF® Extra Thin is a hydrocolloid moisture-retentive wound dressing for superficial wounds with little or no exudate and for early intervention on those at-risk for skin breakdown. Non-adherent hydrogel sheet dressing for use on all partial and full thickness wounds (excluding 3rd degree burns). Ideal for skin tears, minor burns and radiation reactions. Sized 13" x 24"
A no-rinse, moisturizing wound cleanser that gently removes wound debris as it cleanses and washes. 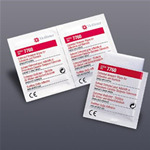 Safely and effectively prepares the wound for Curasol™ Gel Wound Dressing. Dressing, 1/Roll, Interdry Ag 10" X 144"
Features of the Triad Benzalkonium Antiseptic Towelettes. They contain benzalkonium chloride solution. This is a perfect product for perineal and maternity care. The ideal antiseptic wipe because they are alcohol free and will not sting. A waterproof bacterial barrier of film on the outside, with the added benefits of an absorbent pad on the inner layer. All-in-one dressing reduces application time. Unique “picture frame” delivery system like the rest of the Tegaderm™ family.